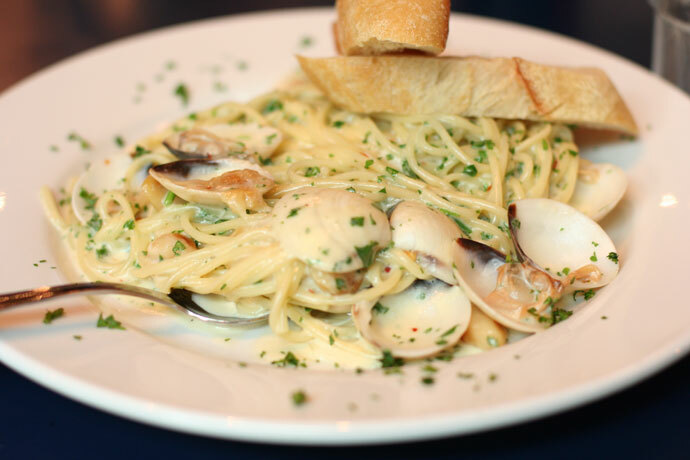 I made another visit to Zachary’s on Robson (map, 121 Robson Street, Vancouver, BC, phone 604-605-1472), and enjoyed the Clam Linguini for lunch (pictured below, around $12). 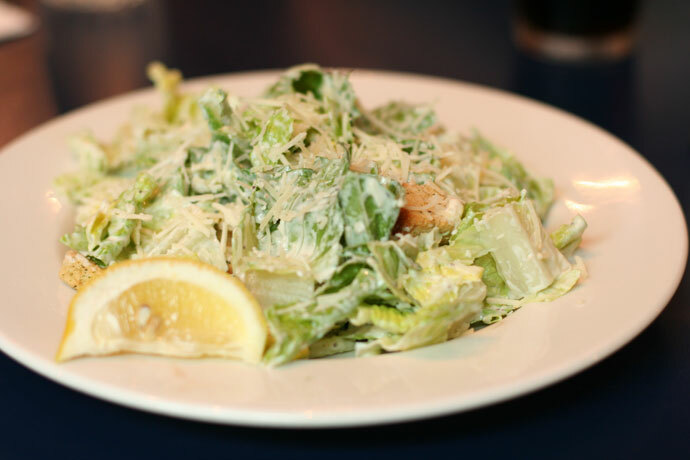 Also pictured below is the side Caesar salad. More photos and info: Part 4, Part 3, Part 2, Part 1. This restaurant is part of the Hampton Inn and Suites Hotel which is a stone’s throw away from BC Place Stadium. It is also very close to GM Place Stadium and the Vancouver Main Library branch downtown. 10,636 views. This entry was posted on Sunday, August 17th, 2008 at 3:59 pm	and is filed under Affordable, American, BC Place Stadium, Breakfast, Brunch, Budget, Burgers, Casual, Creative Dishes, Downtown, Favorites, Food Photos, GM Place Stadium, Hamburgers, Healthy Food, Hotel, Large Portions, Lunch, Lunch Specials, Pasta, Patio, Pizza, Reasonably Priced, Restaurant, Robson, Seafood, Soup, Steaks, Vancouver, Vancouver Restaurants, Yaletown. You can follow any responses to this entry through the RSS 2.0 feed. You can skip to the end and leave a response. Pinging is currently not allowed.